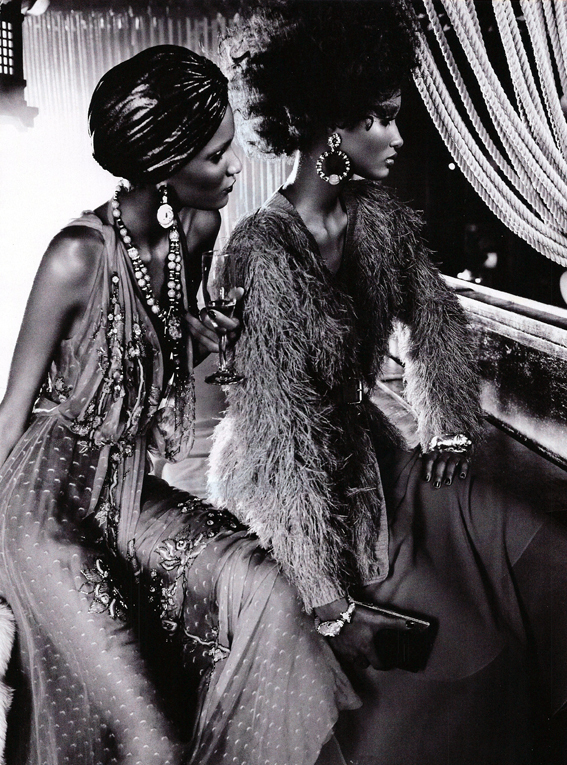 Styled by Edward Enninful and shot by Emma Summerton, Vogue Italia’s The Black Allure features black bombshells from all over the world. 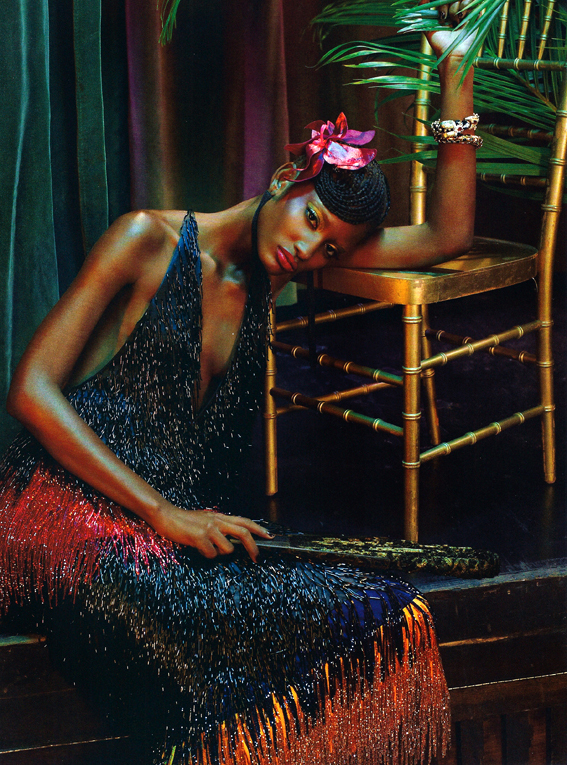 Ajak Deng, Arlenis Sosa, Chanel Iman, Georgie Baddiel, Jourdan Dunn, Joan Smalls, Kinee Diouf, Lais Ribeiro, Melodie Monrose, Mia Aminata Niaria, Rose Cordero and Sessilee Lopez with finger waves, fringe and fur, channel the 1920′s Harlem Renaissance era wearing gorgeous gowns from Louis Vuitton, Donna Karan, and Versace. 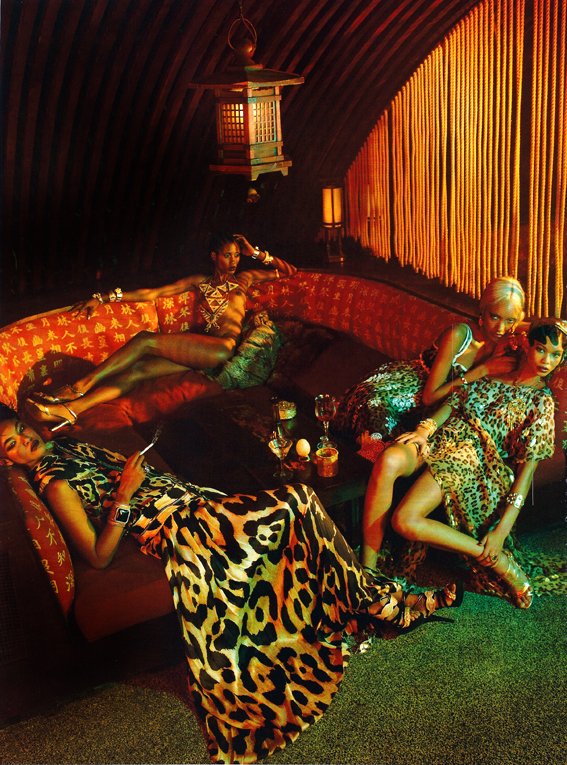 Style inspiration for Ruby Lounge anyone?